I really liked the two messages of the book: that revenge is not always the answer and that sometimes the ending is unhappily ever after. Two families who are at war with one another would never stop being at war, or try to break their curses, because they were so desperate for revenge. It was kind of like the old saying that if everything was eye for an eye, then the whole world would be blind. I loved that Beastkeeper was more like the Grimm's fairy tales where there isn't necessarily a Disney happy ending. The prince and princess may not fall in love, and even if they do, they may not stay in love. Also, even if someone believes he or she is doing the right thing for the right reasons, it could be a terrible thing for the right reasons. Hellisen gives the readers details little by little, but uses sources that may or not be reliable. All of the players that were telling Sarah about the curses, the events that led up to the curses, and how to break the curses had their own agendas. Also, some of the characters may have thought they knew the truth or thought they were telling the truth, when they did not or were not. There are always more than one side to every story, especially when there are curses involved. So, Sarah and the reader never knows what is true or real. This just adds to the creepy fairy tale quality. While Beastkeeper was a great fairy tale, there were problems with the execution. There were some details which could have been explained better or were contradictory. After the catalyst for the curse, Sarah changes almost immediately while her dad changes gradually over a few weeks or months, which doesn't really make sense. I also did not like the love story/romance aspect. It was creepy and not a good creepy. For the love story to be believable, Sarah should have been older. I just don't think that a 12 year old knows what romantic love entails, but may have been capable of infatuation. Also, the love interest could have been any age, including thousands of years old, so that added to the creepiness. Beastkeeper was a good middle grade fairy tale, although not without its problems, and some parts may have been a little age inappropriate. Although, with Sarah's age and some of the missing/confused details, it's hard to say that this would be an older YA or adult novel. 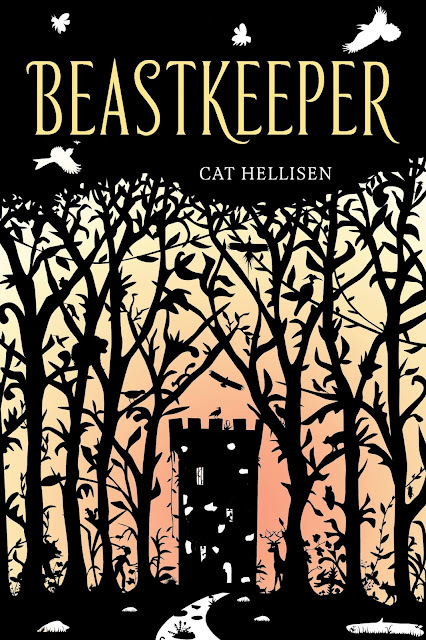 Regardless of its classification, Beastkeeper was an entertaining and well-written read. I'll definitely be checking out another of Hellisen's books, especially if it is a retelling of a fairy tale. To satisfy FTC guidelines, I am disclosing that I each received a copy of the novel from the publisher in exchange for an unbiased review. I'm going to think about reading this one. Your review makes me want to try, but because of what you said regarding the characters' thought processes, I'm thinking it may not necessarily be for me. If it helps your decision any, it's a really short and easy read at right at 200 pages.